Former Italy coach Giampiero Ventura. 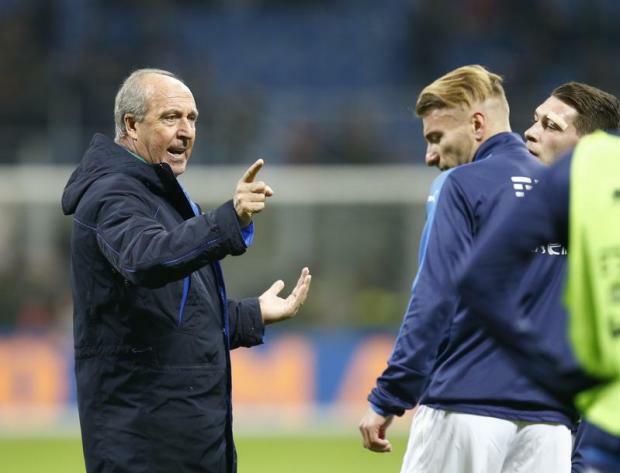 Former Italy coach Gian Piero Ventura, in charge last year when they lost to Sweden and missed out on the World Cup, said he would never get over their "momentous" failure and joked that he had avoided shopping at IKEA. "It was a long summer for me," Ventura told state broadcaster RAI in a radio interview. "It had been many years since I had a full summer, but it gave me the opportunity to reflect and regenerate." "Have I got over the disappointment with the Blues (Italy)? It is difficult because what happened was something momentous." "After the Sweden-Italy match, I don't go to IKEA any more," he added, referring to the iconic Swedish flat-pack furniture company. "I have found the adrenaline again. I feel an inner necessity, a ferocious desire to show what I can do," he said.